Ideal for edging around smaller lawns. 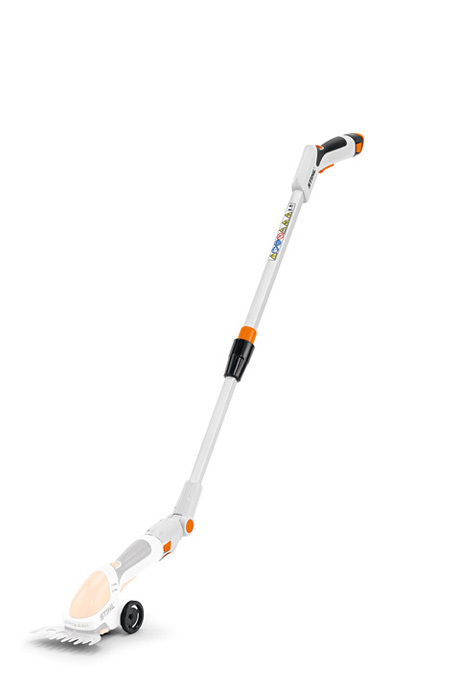 The telescopic shaft allows you to work with the HSA 25 (with grass blade attachment only) while standing up. The telescopic shaft is adjustable from 95 - 110cm and the working angle is also adjustable through 125°. Includes smooth-running wheels.